I passed. 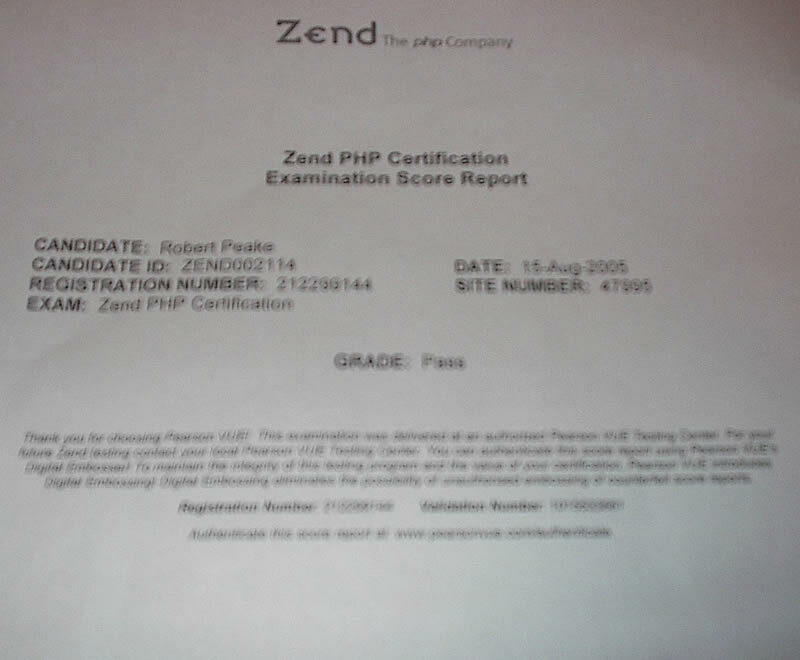 200 sample questions, 134 flash cards, and hours of studying later--I am now officially a Zend Certified Engineer. Three months ago, Daniel Kushner offered me a voucher to take the test for free, "to help advance PHP into the enterprise and to endorse PHP as the leading Web development language" since I am a "PHP community leader and professional developer." In fact, I have over five solid years of PHP coding experience. So why so much studying? Frankly, I needed it--but more on that later. 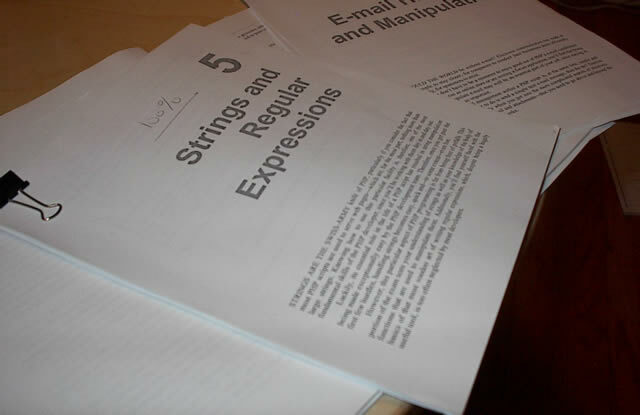 Daniel graciously provided me with the Study Guide and Practice Test booklets, which were invaluable. I went through the study guide underlining everything that stood out to me--anything that might surprise me on the exam. Then I took some practice tests and scored myself. The answers I got wrong on the practice test fell into one of two camps: something I didn't know that I needed to memorize, or something I needed to know conceptually. For the conceptual stuff I went back to the study guide and read up on the topic. Mostly, however, it was stuff I didn't know from memory that tripped me up. 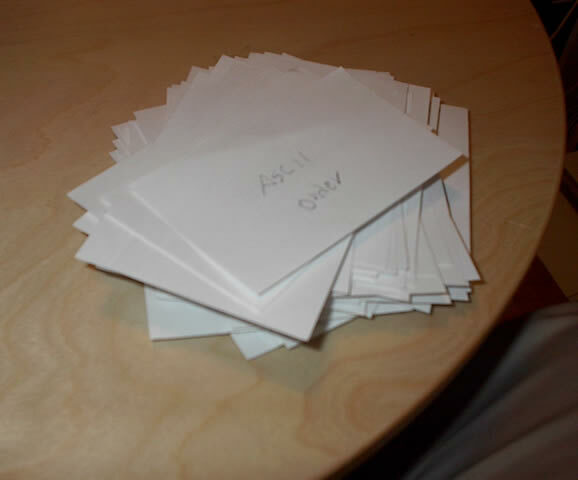 So I made flash cards using not only everything I got wrong I should have known from memory, but also everything that stood out to me as good to remember or know from the study guide. In the end, my wife was drilling me on over 134 cards. She sorted the wrong answers to one side, then we'd go through the wrong ones until I could recite, for example, all the parameters and return value for preg_match as if it were my street address. The other thing I did that really helped was to cut up the practice test booklet. Yes, cut. I took a razor to the spine and essentially unbound all the pages. Then I ran it through a copying machine. This way, I could take the 200-question exam multiple times. Erasing my answers from the booklet just didn't do it--since I could see the depressions and pencil marks. Separate copies meant I could drill myself on these 200 questions until I got them all right. Between test sessions I would go back to the flash cards, look up concepts in the study guide, and consult the PHP manual for any details I might have missed. By the time I was scoring 100% on the sections I was previously having the most difficulty with on the practice test exam, I knew I was ready for the real thing.